The public is invited to view a piece of the world as seen through the eyes of Amy Cogswell—one of the first female landscape architects in the United States, and designer of the Colonial Revival Garden at the Webb-Deane-Stevens (WDS) Museum. 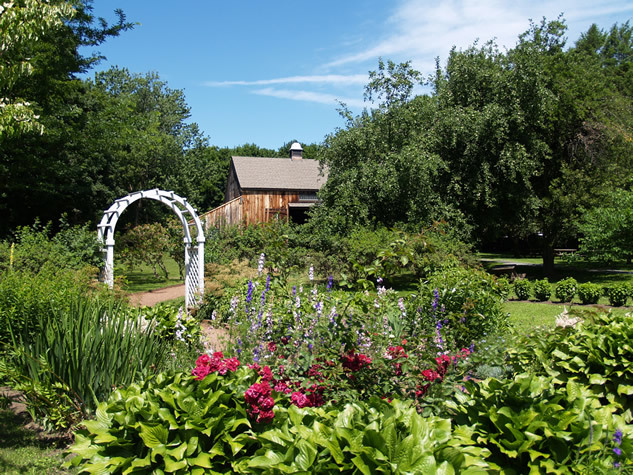 On Sunday, June 24, 2018, from noon to 4 p.m., the WDS Colonial Revival Garden will be one of 14 historic gardens highlighted for Connecticut Historic Gardens Day. 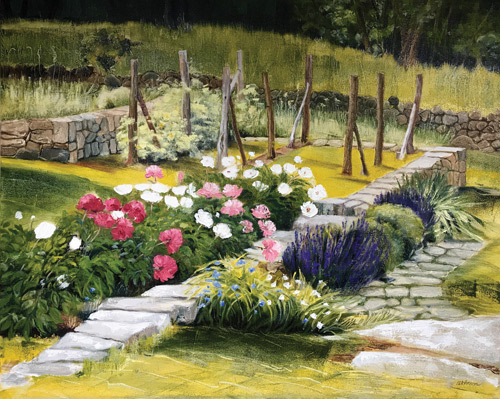 Visitors during the free event will also have the chance to win a framed poster featuring the winning entry for the 2018 Historic Gardens Day Poster Art Contest by Connecticut artist Bonnie Beers-Johnson. Winning entry for the 2018 Historic Gardens Day Poster Art Contest by CT artist Bonnie Beers-Johnson.